SNK Heroines: Tag Team Frenzy is getting a new character. The character that will be added to the game on December 13 is Jeanne D’Arc from World Heroes. A trailer has been also released that showcases the character attacks. Check out the trailer below. 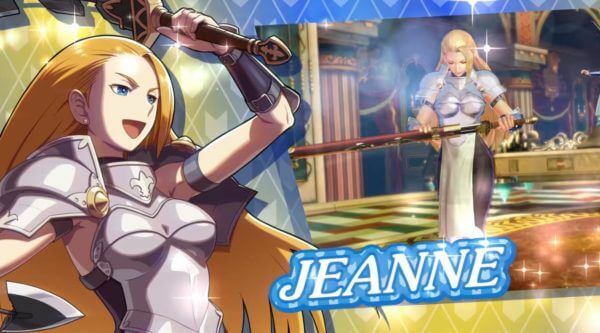 "Blessed with exceptional looks and excellent swordsmanship to boot, JEANNE hails from 15th century France. She joined the World Heroes tournament in search of adequate competition and hopefully, a strong suitor as well. Will you be able to survive her attacks on December 13?" SNK HEROINES Tag Team Frenzy is available for PlayStation 4, Nintendo Switch.